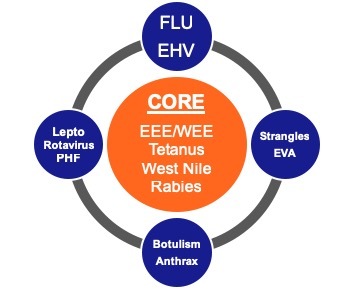 Eastern and Western Encephalitis, Tetanus, West Nile Virus, and Rabies – these are the core vaccinations as recommended by the American Association of Equine Practitioners. They are considered core because all horses are exposed to the disease vectors and all diseases have high mortality rates. But is your horse protected against ALL of these diseases? Vaccinating your horse against rabies is more than just “best medicine.” It is a zoonotic disease which means it can be naturally transmitted from animals to humans. It is almost 100% fatal in humans, so this is nothing to take lightly. Even just exposure can be a financial burden as post exposure treatment is approximately $7500 and may not be covered by insurance. Luckily with the progression of medicine, Core EQ Innovator vaccine is now available. This vaccine protects against all core disease in a single vaccine. 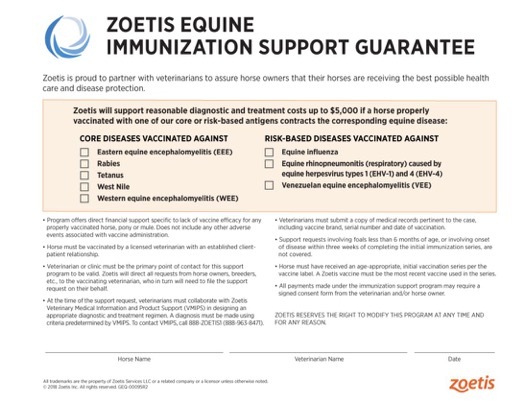 It is also covered by their Immunization Support Guarantee which provides financial support for horses showing signs of vaccinated for conditions. 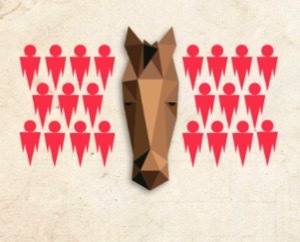 Please contact us to be sure your horse is adequately protected!